Rhodops is a progressively grown generative adversarial network named after rhodopsin, a photoreceptor protein found in the eye’s cones which is receptive to brightness. It was trained on a dataset of images generated by multiple phases of recombinant style transfers. First, images were generated with 1 - 5 style images drawn randomly from a set of about 70 selected images. Once all the style images were represented in the set, generated images were fed back to the algorithm as content and style images. This process was repeated multiple times with different variations of drawing content and style images from each set until there were around 700 total generated images. These were enlarged, cropped into tiles, rotated, inverted, and mirrored to create a larger dataset for the GAN to learn from. Finally, after 2 weeks of training, looping videos were generated. 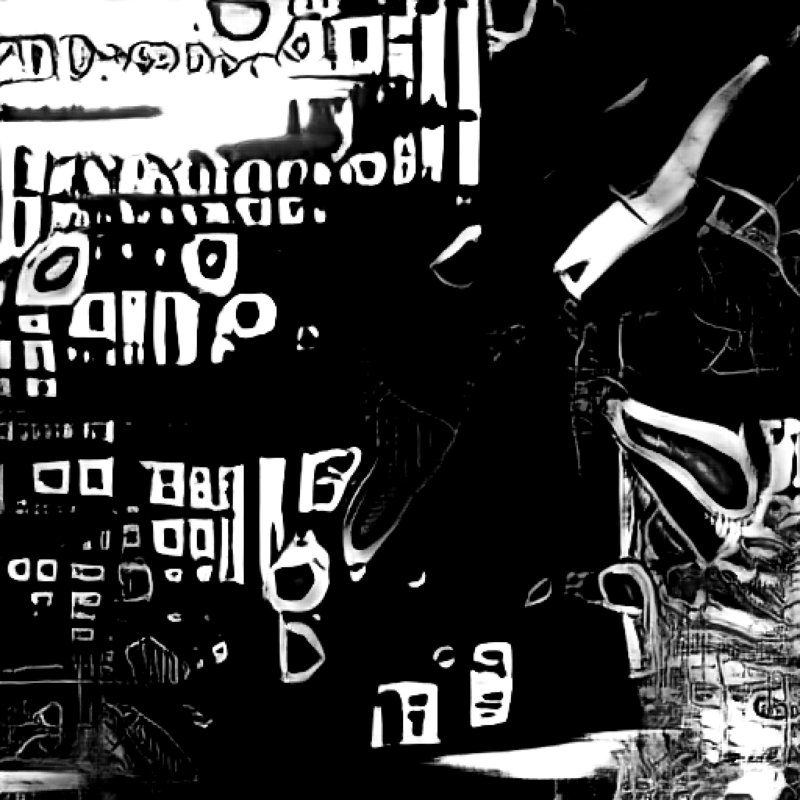 Latent vectors fed to the generator for these videos were either random smoothed noise interpolations or paths played in with MIDI knobs in realtime at 15 fps, then smoothed into loops and interpolated to 60 frames per second.